could someone tell me how to make a dust cover for a featherweight. Any help would be greatly appreciated. Thanks in advanced for your help. It would be done the same as a dust cover for a toaster or mixing bowl. You might be able to find a pattern for one of those. If not, you can just make a cube missing the bottom. Create your pattern by taking a piece of newspaper and folding it over your featherweight. 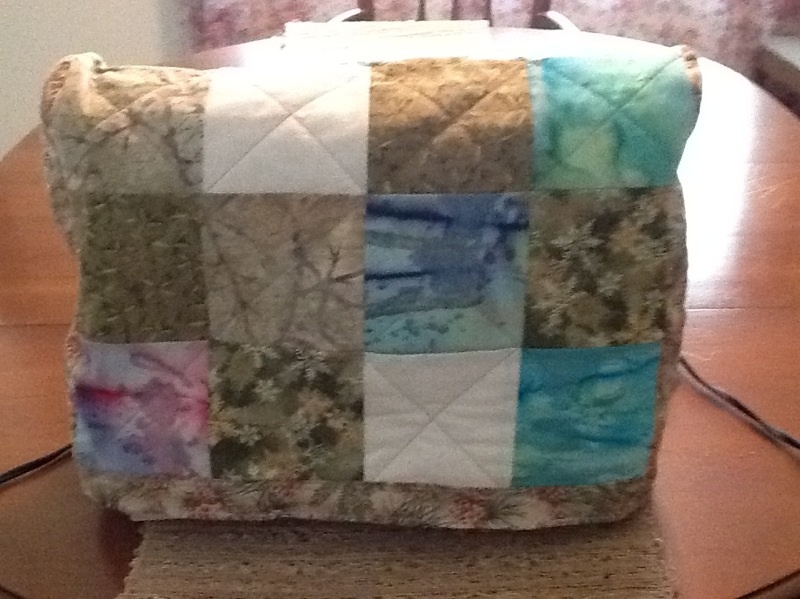 You can tape sides on it, then cut it apart, add seam allowances and sew together. I would make it either with pre-quilted fabric, or pre-quilt your own in the right size. I would cover the seams with bias tape (or even straight edge binding). It can go either inside the dust cover or outside. Charsuewilson is right- it's just a bottomless cube. Simplicity, McCalls and Butterick all have patterns for sewing machine covers (and toasters and blenders, etc). All you'd have to do is take the measurements of your machine and adjust the pattern. Wait for a $1 sale at JoAnn's and you're all set. Here is a collection of free patterns and tutes on how to make your own dust cover and a picture of the one I made. If I can do it, you can, too! It's kind of fun.